Meet Adam Saidi. Adam recently graduated with a First-Class BSc in Computer Science degree and is now beginning his career as a Technical Consultant for BT. But it wasn’t easy for Adam to get where he is today. In November 2018, I completed another chapter in my life when I graduated with a First-Class degree in computer science. I did this with a grade average of 83% and 95% in my dissertation, earning myself a High Achievers Award. I consider this my greatest achievement. I was born and raised on a council estate and I dreamt of one day going to university. Statistically, I was more likely to end up unemployed or in a manual labour job rather than going into higher education. At school, I always found myself in the bottom sets because I struggled to apply myself correctly and revise effectively. In Sixth Form, my predicted grades were DDE. This had a detrimental effect on my confidence and I felt I would struggle in higher education. I have now started my career with BT and God willing, my journey keeps blossoming. This is thanks to those who have supported my journey during my studies. 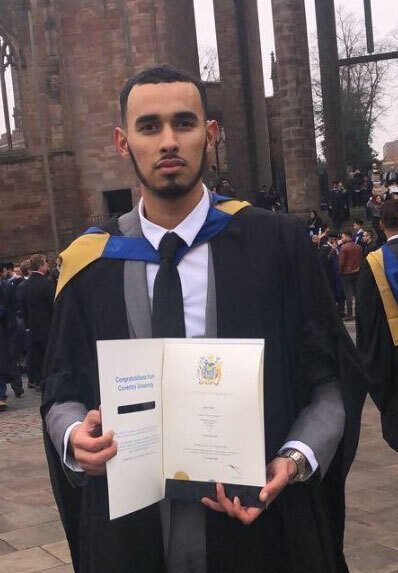 During my time at Coventry University, I have made many life-long friends who supported me enormously, as did my colleagues at Vauxhall Motors, where I worked a placement. My lecturers were also a great support to me, as they not only gave me the knowledge to complete my education, but also imparted important life lessons which helped me overcome my struggles. Why am I writing this? I am writing this with the hope that it will serve as a source of inspiration to those who may feel like they may also have missed their opportunity to better themselves and that it’s important to persevere. It really is possible to turn things around; I could easily have been another statistic, but instead I’m now at the start of another exciting chapter as a consultant with a leading technology company. 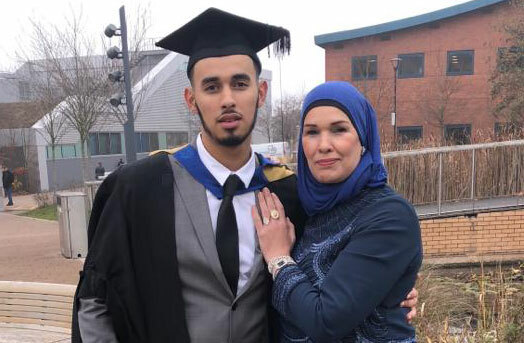 If you are inspired by Adam’s story and would like to start a life changing academic experience of your own, then visit our website and see where your journey could begin. ← Staying at Uni Over Christmas?